Dedicated to real estate for sale from across the entire Caribbean and Central America, 7th Heaven Properties has emerged as one of the world’s leading independent specialists in Caribbean property for sale. The extensive range of listings on our site spans the entire region from the islands of the Caribbean Sea to the Central American countries bordering it. From residential homes to commercial real estate, our site is the ultimate place to discover Caribbean real estate for sale direct by owners and the region’s leading developers as well as the finest selection of Caribbean homes for sale and condos for sale from a handpicked selection of the most trusted real estate agents. 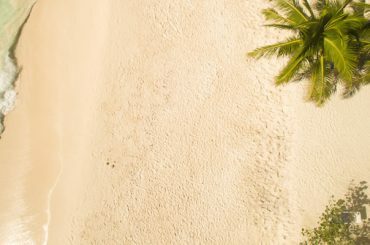 So, whether you are looking to buy a luxury beachfront residence, a private island, a hotel, a farm or plantation, or a parcel of land for sale, we are dedicated to assisting you to find property that meets your unique specifications. With an exclusive focus on the Caribbean, our site showcases an exceptionally wide range of properties from cozy Caribbean cottages for sale to lavish estates and mansions in The Bahamas, the Cayman Islands, St Barts and the Turks & Caicos Islands, historic houses in Barbados and Jamaica as well as income-generating investment properties, vacation homes and condos for sale in Aruba, the Dominican Republic and Roatan. We have built a powerful network of handpicked, trusted partners across the Caribbean, including leading real estate agents, property developers and individual sellers to offer buyers unrivaled market insight and advice. With a portfolio of residential and commercial real estate spanning the entire Caribbean, we are uniquely positioned to assist you. Our website serves as a one stop shop for searching Caribbean real estate and accessing detailed buying guides. We are experts in Caribbean property and would be delighted to assist you to buy, sell or invest in Caribbean real estate. For investors looking to acquire Caribbean Citizenship by Investment, we offer real estate in approved projects in Antigua, Dominica, Grenada, St Kitts & Nevis and St Lucia. In addition to real estate for sale from across the Caribbean islands, we also feature a wide range of the finest real estate for sale in Central America. We cover five of the Central American countries bordering the Caribbean Sea, including Belize, Costa Rica, Nicaragua and Panama. Central America real estate listings featured on our site include beachfront homes and condos in some of the most sought after resort destinations, urban houses and apartments and luxury estates. We pride ourselves on offering a highly personalized service. That’s why we take the time to discuss your specific requirements in detail. We then begin a bespoke property search to seek out real estate matching your requirements. To provide you with a wealth of information on the very best the Caribbean has to offer, our annual magazine The Caribbean Property Investor has emerged as the definitive guide to Caribbean prime property and luxury lifestyle. Whether you are looking to purchase real estate in the Caribbean, planning a new development or looking to sell an existing property, 7th Heaven Properties offers unrivaled knowledge and expertise in Caribbean real estate.